Stranded on a hostile planet, Captain Kirk, Spock and the crew of the U.S.S. Enterprise face an alien threat. Slated for a July 21 release, ‘Beyond’ the new Star Trek installment looks to build on the $853 million dollars already collected at the box office. The new franchise has trebled the takings of any Star Trek Motion picture so far, and from what we have seen in the trailers, is set to do it again. The re-imagining of Spock was a delicate casting decision as the character transcends the science fiction universe from which it is derived. 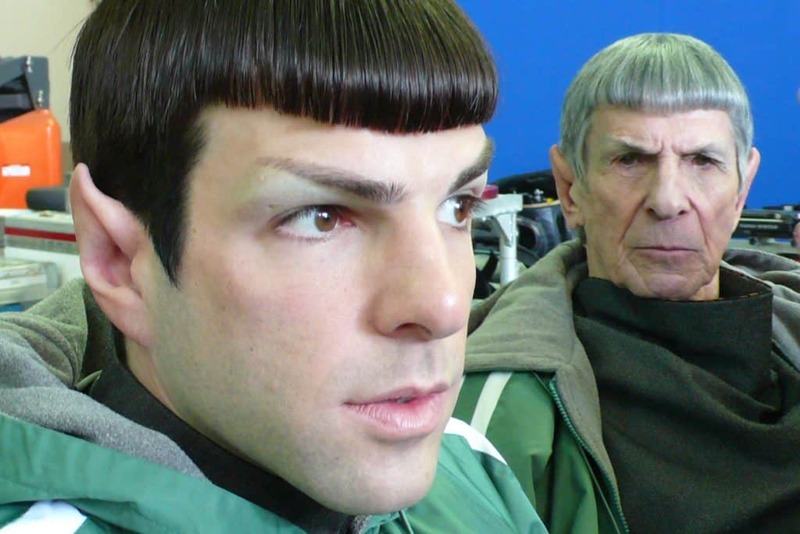 Pittsburgh-born Zachary Qunito who has a science fiction pedigree having starred in the highly successful television series ‘Heroes’ and ‘American Horror Story: Asylum” will reprise his role as Spock for the third time. Quinto was born in Pittsburgh to an Italian American father and Irish American Mother. His paternal grandparents are from the town of Caserta in Campania, Italy, near Naples and immigrated to the United States. Quinto’s father, Joe was born in Connellsville where he served in the US Navy and worked as a barber. He was born on June 2nd 1977. Having grown up on the other side of the Fort Pitt Tunnel in Green Tree, Quinto returned home during the lead up to this massive film launch. Walking around Green Tree, Quinto recounts some of his memories of Pittsburgh including his first brush with celebrity in his youth. Quinto went to Dairy Cream for an ice cream and remembering that he had forgot to pay he returned to find news anchors of KDKA, Bob and Lisa Pompeani in the line. Bob and Lisa were so impressed at Quinto’s honesty that they paid for the ice cream “and then we became friends,” adds Quinto. Quinto, went to high school at Central Catholic where he became a big part of the school’s theatre productions. He remembers staring out of the window of his classroom and dreaming that one day he would attend CMU (Carnegie Mellon University) School of drama. Having realized his dream of studying musical theatre, Quinto appeared in the television shows ‘6 Feet Under, ‘Charmed’ and ‘Lizzy Maguire’.